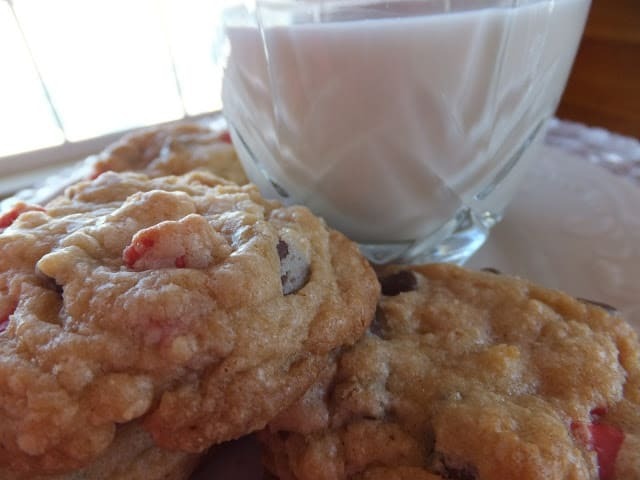 Cherry Garcia or Chocolate Cherry Chip Cookies came about one day when I had a huge craving for cookies. I decided to make a batch of my favorite cookies, Chicago Crunchy Cookies. My sister Barb gave me this recipe years ago and I have been making it ever since. They’re always a hit and will definitely disappear fast. The recipe for Chicago crunchy cookies, (I have no clue why they’re called that either) makes a huge batch. Depending on the size of cookies, at least 4 to 5 dozen. Thus, making them great to bring to parties or to sell at bake sales. This recipe that I’ll be sharing today originally calls for using only chocolate chips. I had a 10 oz bag of cherry chips that I bought for a different recipe. I never got around to making the recipe so I thought, “what the heck, throw them in too!” And boy am I glad I did. 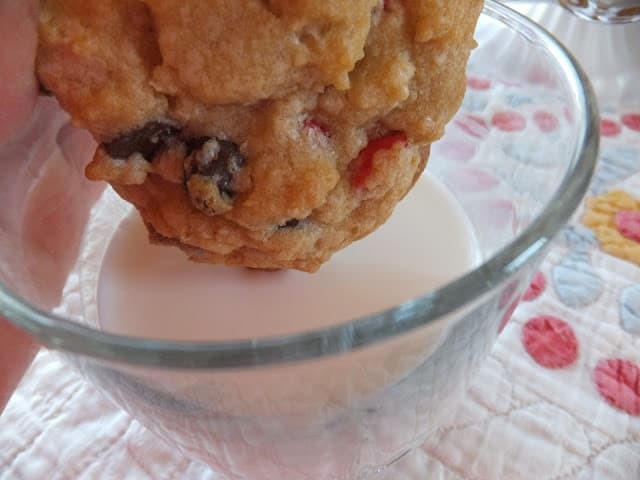 My hubby re-named the cookies, Cherry Garcia cookies because, “They have everything in them but the kitchen sink.” Cornflakes, old-fashioned oatmeal, chocolate chips, cherry chips, chopped walnuts and you have a cookie that’s irresistible. Cream together butter, oil and sugars. Add egg, milk and vanilla extract. Mix well. Stir together flour, baking soda, salt and cinnamon. Gradually add dry ingredients to creamed mixture. Mix well. Stir in cornflakes, oats, chocolate chips, cherry chips and nuts. Drop by rounded spoonfuls onto baking sheet lined with parchment paper. Bake at 350º for 10 to 12 minutes or until golden brown. Cherry Orange Marmalade Bread is a fantastic Quick Bread made with dried cherries and orange marmalade. I LOVE baking with cereal! 🙂 These cookies look fab! Thank you so much for linking up with me this week at Tasty Tuesdays! I’ve pinned this & shared it with my followers! How great! My kiddos would absolutely love these – anything with cherry and they are all over it. 🙂 Thank you for linking up at Tasty Tuesdays, hope to see you this week! 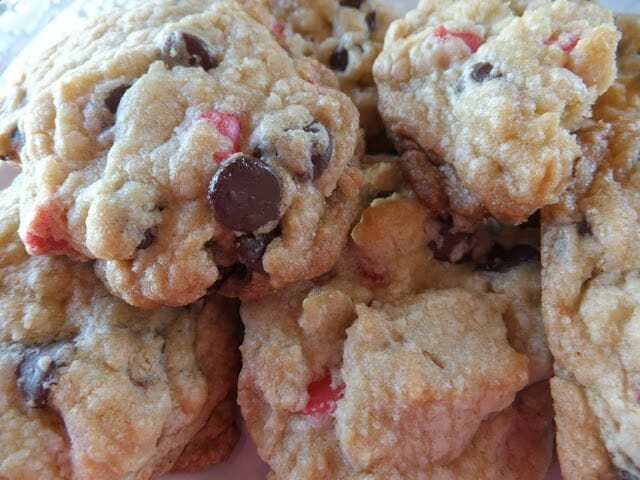 I used to work with a lady who made cookies with cornflakes–not with choc or cherry chips though. I liked the texture the cornflakes gave. Great pictures, Lynn. The exterior of the cookies looks so yummy and buttery. Thank you for linking with See Ya in the Gumbo this week. Sorry it took me so long to stop by. I'm in the middle of switching jobs/losing my mind! I've never seen cookies with cornflakes before! These look super tasty! 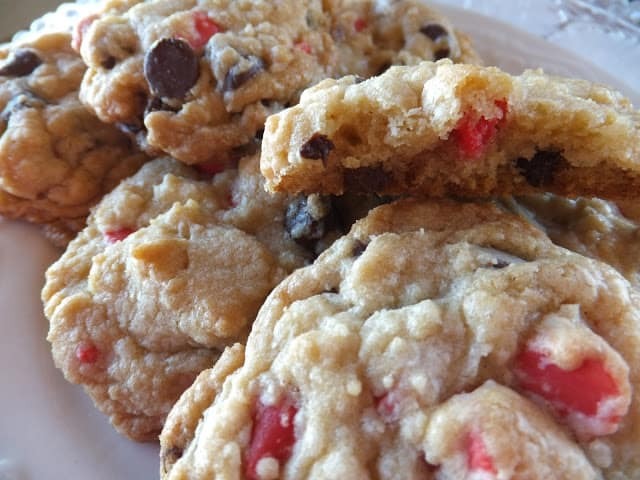 Cherry Chip Cookie! Yum 🙂 Thanks for joining us at the Let's Get Social Sunday blog hop. Have a great week.